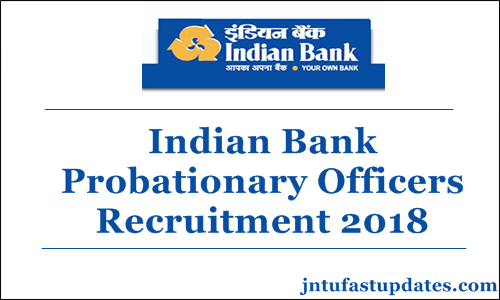 Indian Bank PO Recruitment 2018: Recruitment of probationary officers – admission to post graduate diploma in banking & finance course at indian bank manipal school of banking (IBMSB). Indian Bank invites application from young and bright graduates who fulfill the eligibility criteria specified and who are interested in Banking career, for admission to the one year Post Graduate Diploma in Banking and Finance (PGDBF) course at Indian Bank Manipal School of Banking (IBMSB), which has been set up jointly by Indian Bank and Manipal Global Education Service Pvt Ltd. The reservation for Persons with Disabilities (PWD) is on horizontal basis. The selected candidate will be placed in the appropriate category (viz. SC/ST/OBC/UR) to which they belong. The number of vacancies and also the number of reserved vacancies are provisional and may vary according to actual requirement of the Bank.